With safety as priority, we went through top reviewed snorkel gear in the market, and compiled this short list of the best dive flags for snorkeling for you in 2019. Did you know that Florida requires divers to prominently display divers-down flags or buoys where they dive? (dive flag law - 2014) And in Hawaii, the law requires that scuba divers or snorkelers display a diver-down flag to mark their diving or snorkeling area. Why and How to Use a Dive Flag for Snorkeling? What Does a Dive Flag Look Like? 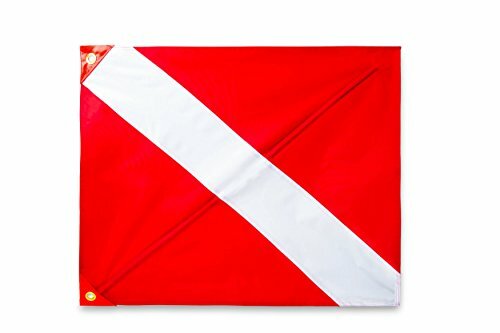 Dive flags for snorkeling should be durable and be able to withstand the elements of nature as it is often exposed to it. The SeaGator is one of the most durable diver equipment out in the market. It is made from a highly durable nylon webbing that is strong enough to withstand the dominant forces of nature like wind and waves. Its surrounding corners are reinforced with vinyl adding more strength, durability and lasting use. It has 2 eyelets on the corner that is made out of high-grade brass grommets where you can use it for tying the flag to its pole or any designated area. It bears the standard red with a white diagonal line that does not easily fade even if used for a prolonged period of time. When fully set, the SeaGator snorkel flag will stand in place and is highly visible in the distance. SeaGator itself has a diagonal sleeve where you can insert a stiffening pole, which upon installation, will make the flag in full display. When not in use, the stiffening pole can be retracted since it is collapsible. You have to take note that the stiffening poles are only for the flag itself and requires a separate pole, primarily when used with a floatation device. You also have to take note that there are no side sleeves where you can insert a host pole. Instead, the scuba diving flag can be mounted to a receiving pole by tying it through its brass grommets. This design is intended to be like this so that it can cater to various environment making it a highly versatile divers flag in terms of usage. 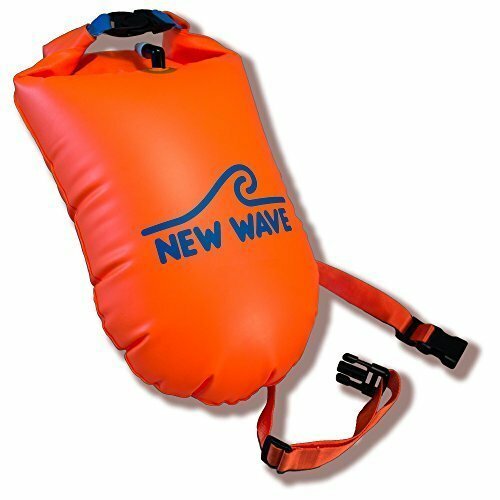 It can either be set on the boat, at the beach or attached to a float to function as a floating divers flag. Literally, it can be set to any host pole. Aside from boat restriction in relation to its distance to a diver flag, certain areas require a minimum size for a flag. Although small and compact, the SeaGator diving flag passes the requirements, particularly in Florida Keys or Naples, which are very popular snorkeling destinations. When fully set with its collapsible poles attached, the SeaGator have a dimension of 20 x 24 Inch (50 x 61 centimeters). Unlike scuba diving where you spend most of the time underwater, snorkeling usually takes you to the surface and the only time you are underwater is when you decide to go free diving. While snorkeling at surface water, there are some parts of your body together with your snorkeling equipment, such as your snorkel vest, that is exposed out of the water. This may include your back and the tip of your snorkel. “You have to mark your presence in the water” - it is essential that someone (may it be someone who is watching you from land for safety, someone who is also snorkeling or someone who is just passing by with a boat) knows you’re in that part of the water. This prevents from accidents to happen, like bumping or hitting. This is the very reason why the tip of your snorkel is brightly colored. Wearing a brightly colored shirt, wetsuit or fins would also help mark your presence in the water. However, this is not enough to fully mark our presence as only a part of our brightly colored shirt, wetsuit and snorkel are exposed to the water, and this will become very difficult to identify if there is an incoming boat, especially if they are cruising on high speed. Instead of wearing neon colored wetsuits and other accessories, which in most cases we find it awkward, we use surface markers that are visible even on far distances. Scuba divers often use surface marker buoys or SMBs where they can deploy it a few meters below the surface just before making a direct ascent back to the surface. This ensures them that no one or no incoming boat that is in a collision course with them. For snorkelers, we often use the snorkel flag where we tag it along as we swim across the reef. 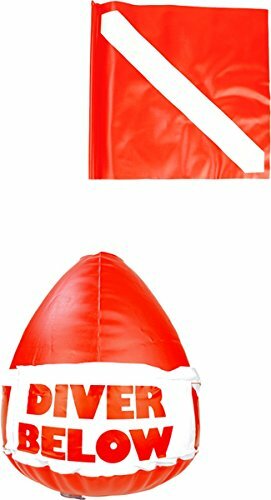 Officially called as the “Diver Down Flag”, the dive flag is an internationally recognized symbol signifying that there is a diver down in the water. But make no mistake in using it where you can wave it high with your hands and signaling it to a person or an incoming boat. The dive flag is usually tied to a pole that is set in a float. In this way, the divers flag is always standing and afloat making it highly visible especially to passing by boats. There are several ways to use a diving flag. Often it is permanently set to a scuba dive site or snorkeling site signaling that underneath it is a diving or snorkeling spot with scuba divers, snorkelers or free divers. Compact and handy scuba flags are often used in remote areas, where instead of permanently setting it to the bottom, you can tow and tag it along using a rope. But what is the significance of having a diver down sign? It is common knowledge, especially for boats, that they should stay away from the dive flag creating a safe place for snorkelers and divers alike. Generally, international standards do not allow any boat within a 30 meter (100 feet) radius, and you need to be inside that imaginary circle that is considered a safe zone. However, the 30 meter restriction is not the usual case. In certain states in the United States and some countries, scuba flag restrictions and dive flag rules are more stringent where some may go up to 50 meters (160 feet) or even 100 meters (300 feet). With this, it is best to consult your local authority or dive shop about these restrictions before you go snorkeling. This is very important if you are not familiar with the snorkeling site. And in case you would consider a DIY snorkeling buoy, here is a video to get you started... Stay safe out there!